The American-Scandinavian Foundation 2015 Spring Gala was held on April 17 at The Pierre Hotel in New York with more than 320 guests in attendance. The evening’s Gala Chairs were Inger G. and William B. Ginsberg and the Honorable Charles and Mrs. Monika Heimbold, with Laureen and Ragnar Meyer-Knutsen and Arthur Zeckendorf serving as Vice Chairs and Giacomo Landi, DNB Bank ASA, serving as Corporate Vice Chair. 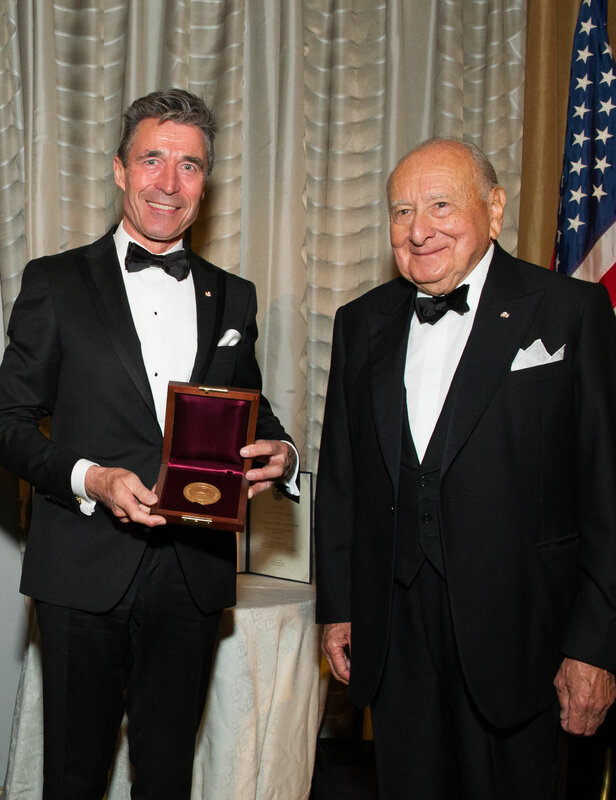 the former Prime Minister of Denmark and former Secretary General of NATO, received the ASF Gold Medal in recognition of his efforts to promote cooperation between the United States and the Nordic countries. The Medal was presented to him by the Vice Chairman for Denmark of the ASF Board of Trustees, Ambassador Edward E. Elson. Award-winning Swedish actress Lena Olin served as the Gala Host. After the awards program, guests were entertained by tenor Andrew Stenson, a winner of the 2013 Queen Sonja International Music Competition, and by the music of Vince Giordano’s Nighthawks. The ASF is extremely appreciative to all who supported and attended this wonderful event.